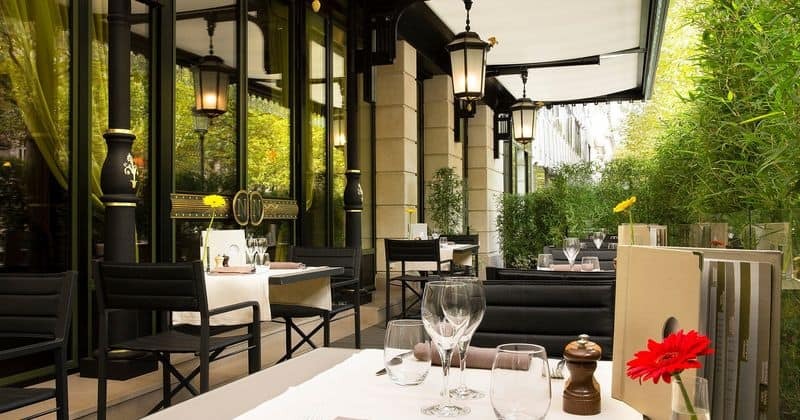 The Hotel Napoleon is a stunning Parisian 5* hotel, just over 200m away from the Arc de Triomphe. An excellent choice for leisure and business travellers alike; with superb facilities and a central location. 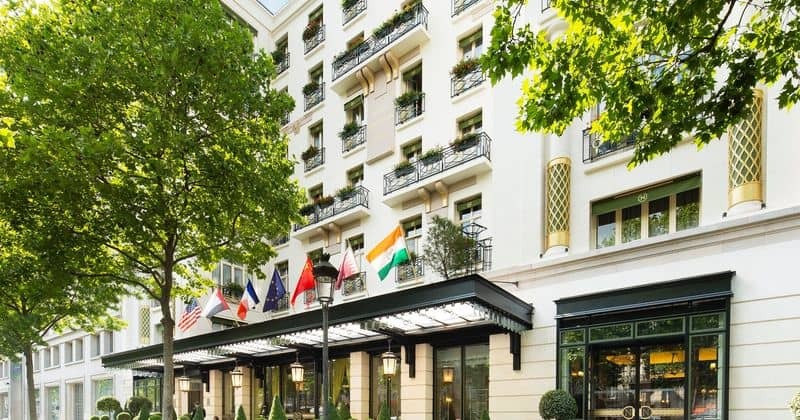 The hotel is in a prime location, at the top of the Champs-Elysées, within easy reach of all the city’s major attractions and landmarks via public transport- the nearest metro stop is just a 4 minute stroll away. Countless shops, bars, cafés and restaurants surround the hotel, making it the perfect spot no matter what you are looking for. Public parking is available nearby. 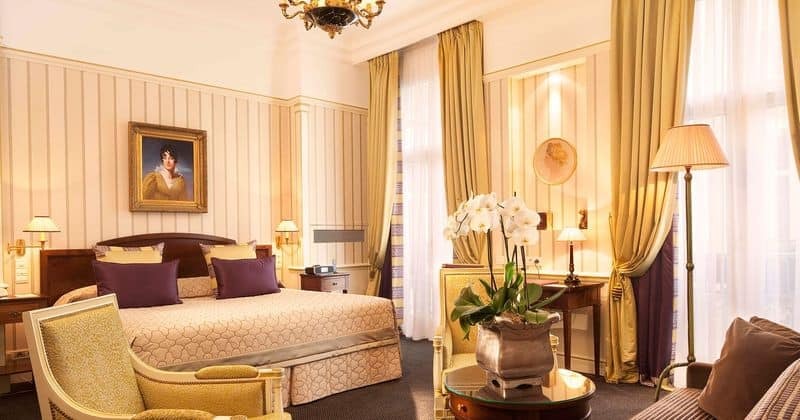 Hotel Napoleon boasts many excellent facilities. 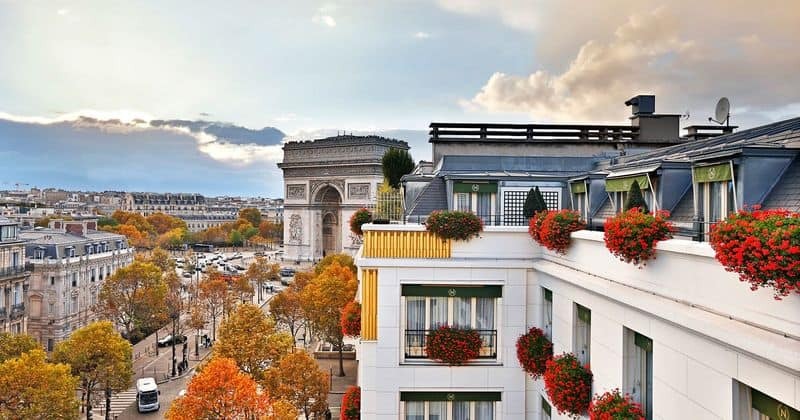 The fitness club is exclusively for the hotel’s guests and offers the chance to work out whilst enjoying spectacular views over the rooftops of Paris. Guests can also enjoy spa treatments, including facials, manicures and massages. 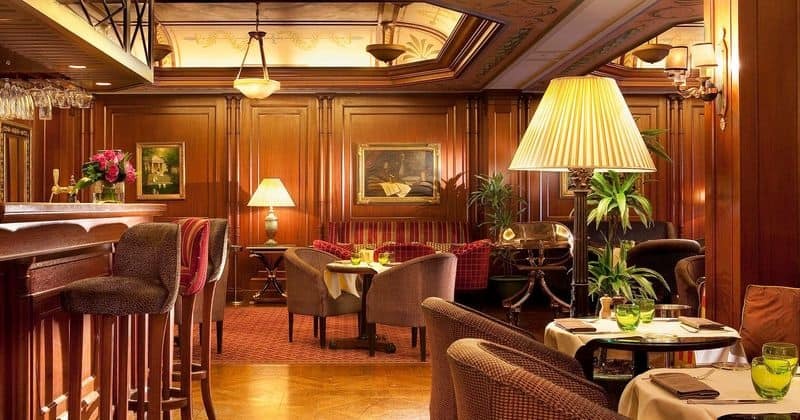 The stylish Bivouac Café is the hotel’s popular restaurant and bar, where you can delight in delicious breakfasts, gourmet lunches and pre-dinner aperitifs. 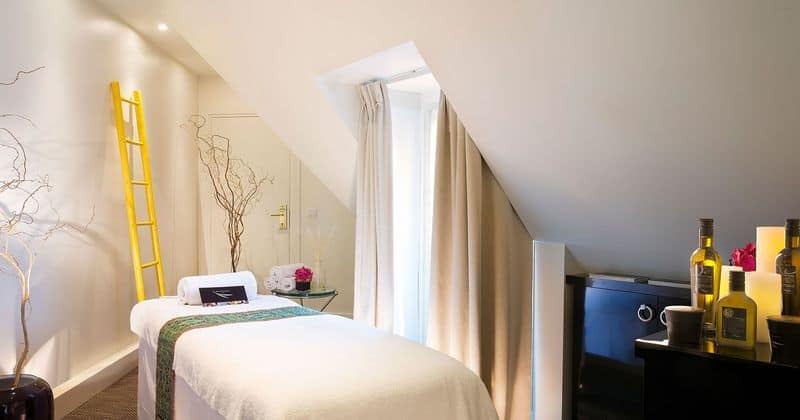 The hotel also offers extensive meeting room facilities as well as a 24hr reception desk, room service, luggage storage, dry cleaning and a gift shop. 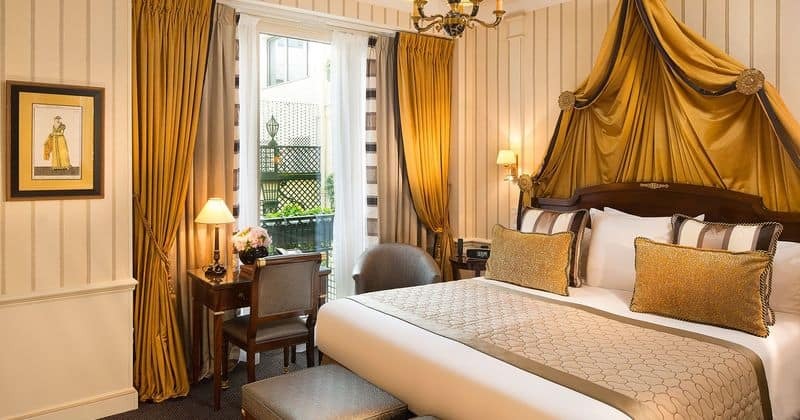 An elegant hotel with rooms to match; all rooms are beautifully decorated with grand décor and come with Queen or Twin beds, air-conditioning, iPod docking station, en-suite with bath and complimentary L’Occitane toiletries as well as access to the fitness club. For those choosing to opt for a Suite, guests will be delighted with King or Twin beds, a separate lounge area and tea and coffee making facilities.